~~~~~~~~~~~~~~~~~OLD IRON NEVER DIES~~~~~~~~~~~~~~~~~~: I won the 2014 Garage Girls Ultimate Biker Makeover!!!! I won the 2014 Garage Girls Ultimate Biker Makeover!!!! 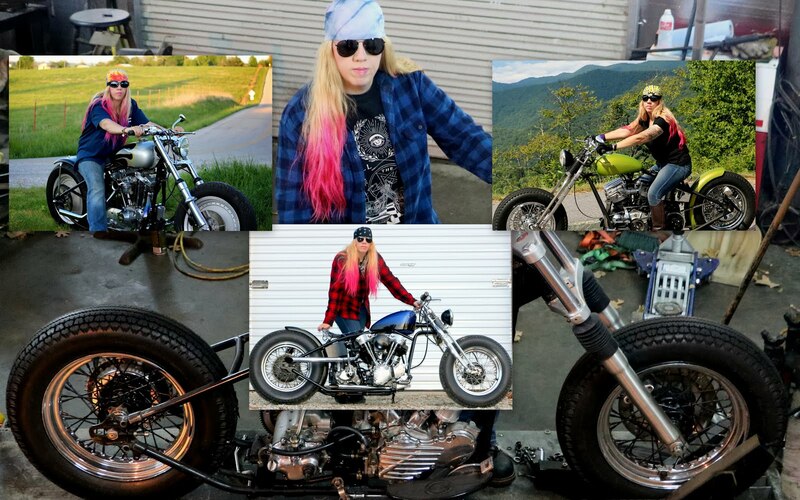 2014 GARAGE-GIRLS ULTIMATE BIKER MAKEOVER WINNER ANNOUNCED! Today is the day, after months of collecting submissions and pouring through tons of entries, we finally have our winner! We are happy to announce Chris Gibbany as the 2014 Ultimate Biker Makeover Winner. Thank you to our awesome sponsors for hooking Chris up with all her amazing prizes. 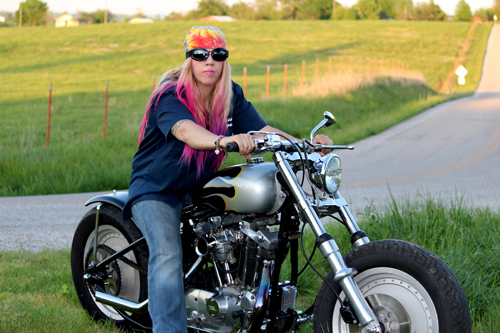 Please check out her story, and see why we chose Chris as the Winner of the 2014 Garage-Girls Ultimate Biker Makeover. “My brother and I were given the option of a candy bar a day or the equivalent in money, I ALWAYS took the money, he took the candy. I took care of all of my clothes and toys and then resold them at yard sales to recoup some of my money. I picked up aluminum cans and scrap metal while growing up to have more cash. I never got my ears pierced as I knew it would make me buy “unnecessary things”. I graduated high school with honors and my graduation gift was a $10 denim purse. I went to college on full scholarships and I worked two jobs. My first year in college I bought a super nice black 1978 Camaro, that I owned 15 years. My second year I bought a 1978 Z-28 Camaro, a car I have owned for over 22 years. I went to buy a third Camaro while in college but instead fell in love with MOTORCYCLES! I had these things while making minimum wage. While married to my first husband, I was forced to sell my motorcycle to buy him an expensive birthday gift. I got another motorcycle and one day while still at work, he sold it. Needless to say that after a few events like this, I filed for divorce, typed up my own papers and got divorced for only $50. Another lesson in frugality! He was also trying to force me to have kids and I instead went and got my tubes tied, also free of charge!